Taejo of Joseon, born Yi Seong-Gye, was the founder and the first king of the Joseon Dynasty of Korea and the main figure in overthrowing the Goryeo Dynasty. 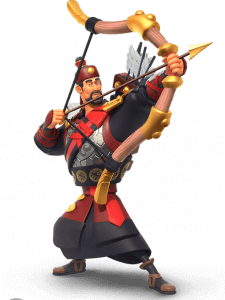 Yi Seong-Gye joined the Goryeo army and gained power and respect during the late 1370s and early 1380s by pushing Mongol remnants off the peninsula and also by repelling well-organized Japanese pirates in a serios of successful engagements. He declared a new dynasty in 1392-1393 under the name of Joseon, thereby reviving and older state, also known as Joseon, that was, legendarily, established nearly three thousand years previously and renamed the county the “Kingdom of Great Joseon”. Yi Seong-Gye abdicated in 1308 during the strife between his son and died on May 23, 1408 I Changdeok Palace.